Esoterism & Symbol by R A Schwaller de Lubicz, from Inner Traditions, is part of the collection at the Reading Room. 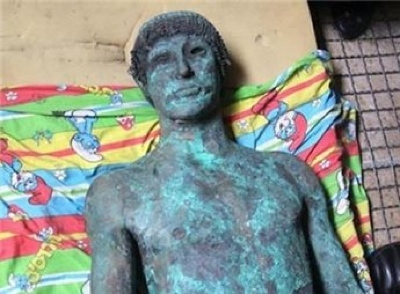 “Esotericism and Symbol initiates the reader into the tone, structure, and mentality of ancient Egyptian knowledge, the wellspring of all Western theology and science. This intelligence is independent of the senses and belongs to the vast totality called life. To the ancient Egyptian it is the intelligence-of-the-heart which allows man to move toward the divine. All esoteric teaching is addressed to this intelligence. ‘Spirit is found only with spirit,’ and esotericism is the spiritual aspect of the world, inaccessible to cerebral intelligence. It can be neither written nor spoken, nor consequently betrayed. It has nothing in common with deliberate concealment of truth. 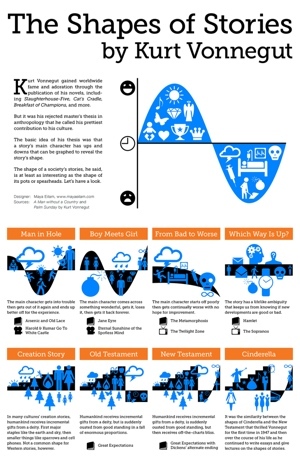 However, the preparation needed to grasp it is not a matter of learned knowledge, but of intuitive capacity. This entry was posted in Hermetic Library Reading Room and tagged Ancient Egypt, books, cerebral intelligence, esotericism, Inner Traditions, intelligence of the heart, R A Schwaller de Lubicz, Reading Room, self knowledge, spirit, symbol on June 11, 2014 by John Griogair Bell. 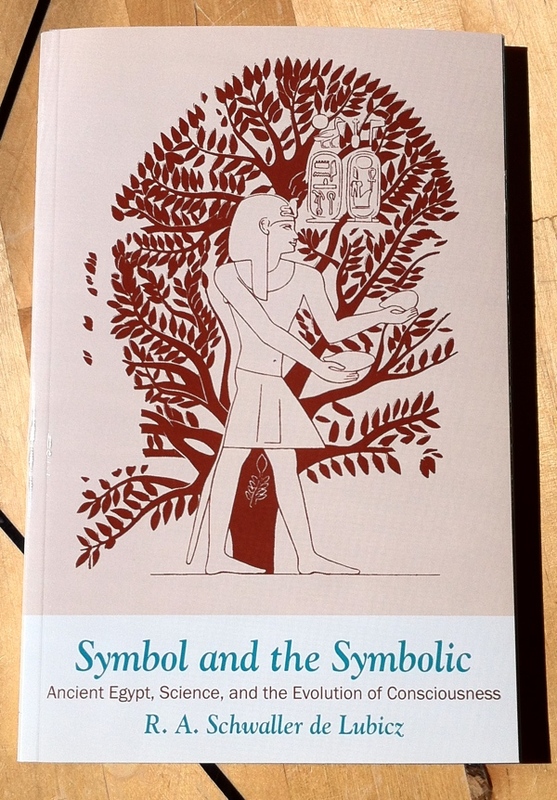 Symbol and the Symbolic: Ancient Egypt, Science, and the Evolution of Consciousness by R A Schwaller de Lubicz, from Inner Traditions, is part of the collection at the Reading Room. “R. 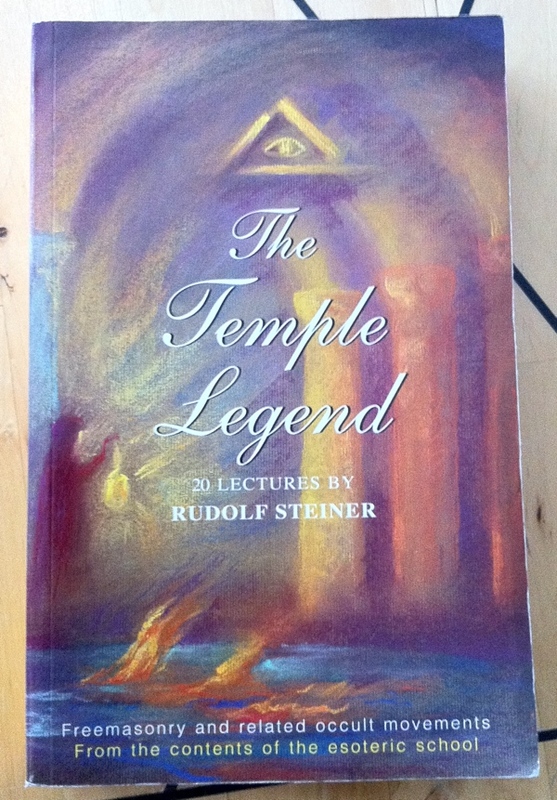 A. Schwaller de Lubicz spent fifteen years studying the art and architecture of the Temple of Luxor. 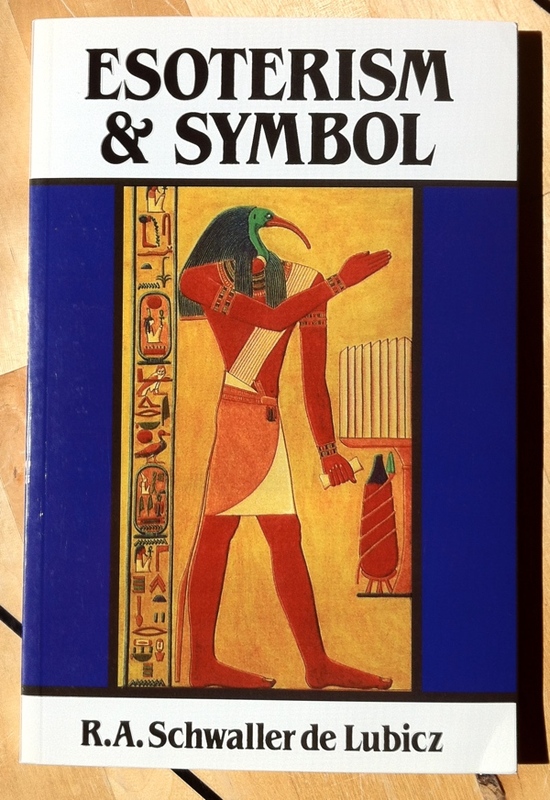 In Symbol and the Symbolic, he explains that true progress in human thought can be made only if we call upon the ‘symbolizing’ faculty of intelligence, the faculty developed and refined in the Temple Culture of ancient Egypt and reflected in the hieroglyphs that have come down to us undisturbed. The mentality of ancient Egypt, argues the author, helps free us from our present intellectual impasse, while ‘symbolism’ must be recognized as the intuitive means of overcoming the limitations of reason. 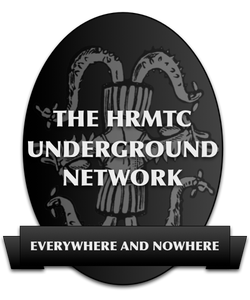 This entry was posted in Hermetic Library Reading Room and tagged Ancient Egypt, books, direct synthetic vision, Inner Traditions, R A Schwaller de Lubicz, Reading Room, symbol, symbolism on June 10, 2014 by John Griogair Bell. Music the Dead Can Hear: Sound, Symbol, and the Occult in Luigi Russolo’s Art of Noises is a presentation by Luciano Chessa at Observatory in Brooklyn, New York, on November 8th, 2013. 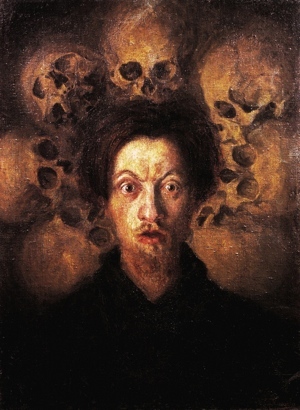 Luigi Russolo (1885-1947), Self Portrait with Skulls, 1908, oil on canvas, 67 x 50 cm, Civico Museo d’Arte Contemporanea, Milan. 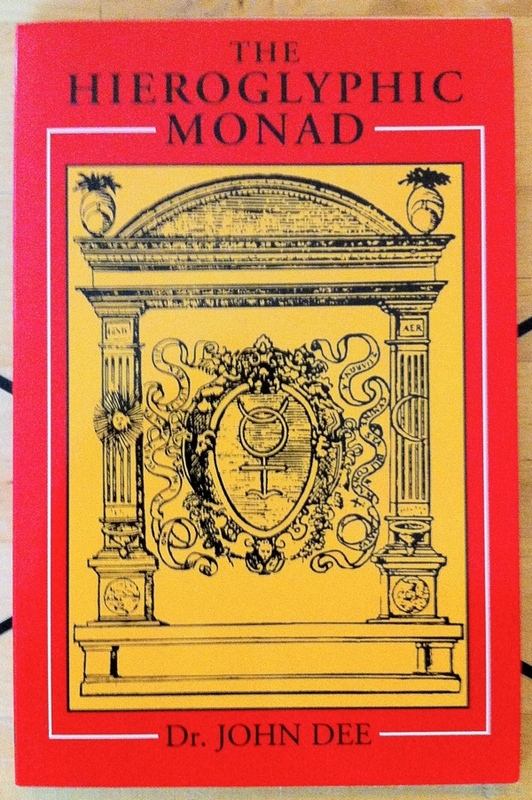 The Hieroglyphic Monad by Dr John Dee, the 2000 paperback from Weiser Books, is part of the collection at the Reading Room. “This book, written in thirteen days in 1564 by the renowned Elizabethan magus, Dr. John Dee, explains his discovery of the unity underlying the universe, as expressed in a hieroglyph, or symbol. His monad represents the alchemical process and goal of the Magus who, in partaking of the divine, achieves that gnostic regenerative experience of becoming God, and thus furthers the redemption and transmutation of worlds. 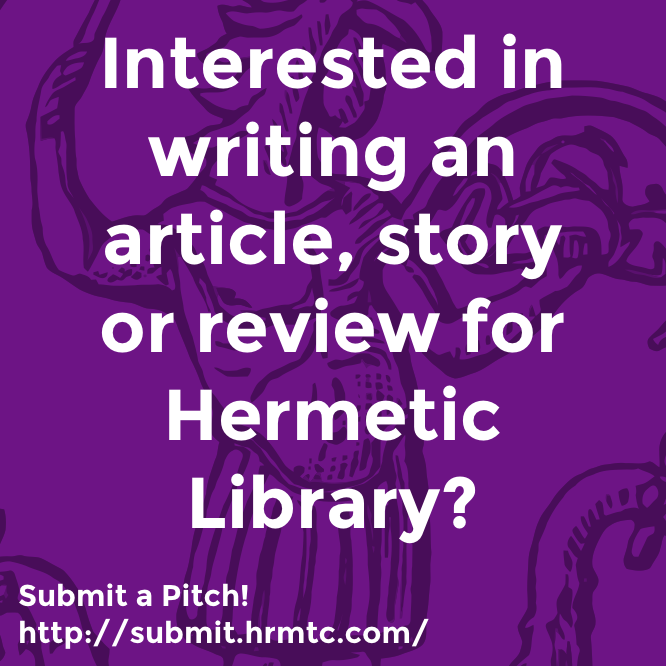 This entry was posted in The Hermetic Library, The John Dee Publication Project, The Obsidian Mirror of John Dee and Edward Kelly and tagged 1564, 2000, alchemical process, be silent, becoming God, books, circle, conjunction, creation, creative memory, cross, fire, generative faculty, gnostic regenerative experience, hieroglyphic monad, john dee, key, key to the universe, line, magus, moon, partaking of the divine, redemption, sun, symbol, transmutation, understand, unity, universe, Weiser Books on October 2, 2013 by John Griogair Bell. 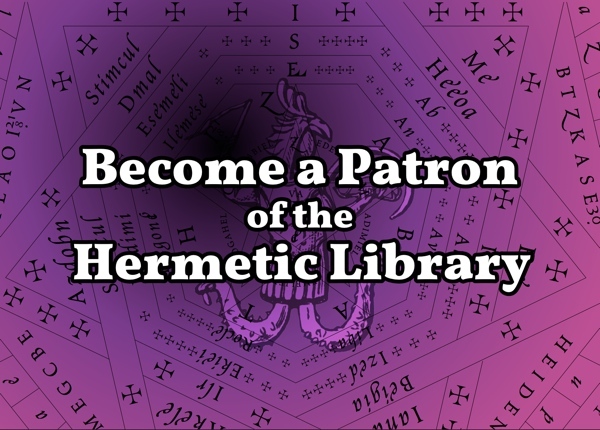 Bkwyrm, of the Occult Book Reviews site at the library, has a special offer on Mercury dimes, including a special on a combo of dime and ritual oil that seems like a pretty good deal. These are special order, so check out the Mercury Dimes page for details. “The Mercury dime is a ten-cent coin struck by the United States Mint from 1916 to 1945. Designed by Adolph Weinman and sometimes referred to as the Winged Liberty dime, it gained the term “Mercury dime” because the depiction of Liberty, in her winged cap, was often confused with the Roman god Mercury. The reverse of the coin shows a a bundle of wooden sticks with an axe blade emerging from the center, called a fasces, symbolizing unity and strength, and an olive branch, signifying peace. In hoodoo and some forms of American folk magic, a Mercury dime is considered an extremely lucky talisman. Traditionally, it is pierced, anointed with oils, and worn on a cotton string around the ankle. It is said to turn black if the wearer is being attacked with negative magic. 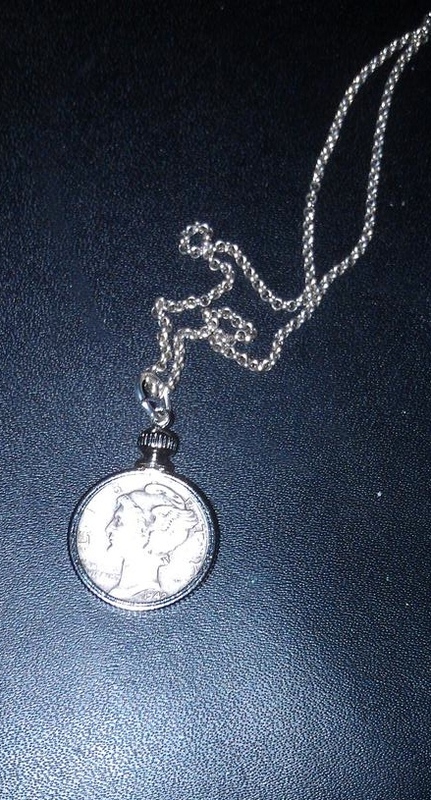 Other practitioners wear a Mercury dime as a pendant around the neck for the same reason, but also as a charm for luck. The Mercury dime is also a common item found in “mojo bags” or “mojo hands” created for various purposes, usually related to luck or money. Due to the god Mercury’s position as patron of games of chance and sleight of hand, the Mercury dime is considered a powerful talisman for gambling purposes. We recently discovered a local coin dealer who had something of a stash of circulated Mercury dimes. 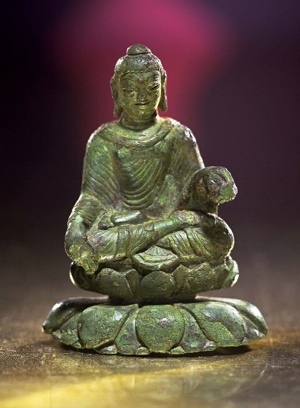 This means the coins are somewhat worn and tarnished, as they were actually used. A coin dealer would find that this makes the coin worth less to them, but for magical purposes, a circulated coin may well be more effective than an uncirculated one – the theory is that the coin has been in contact with other money and has been “in the flow” of circulation, and will work more effectively for attracting wealth. Because the Mercury dimes are 90% silver, they have become slightly more difficult to find, as the cost of silver has increased. The coin as a pendant, set in a nickel-plated bezel on a sterling silver chain ($15). Special Holiday Offer – The coin in conjunction with a vial of oil, regular or electional ($20). For leap year coins, please add $5 to the price. 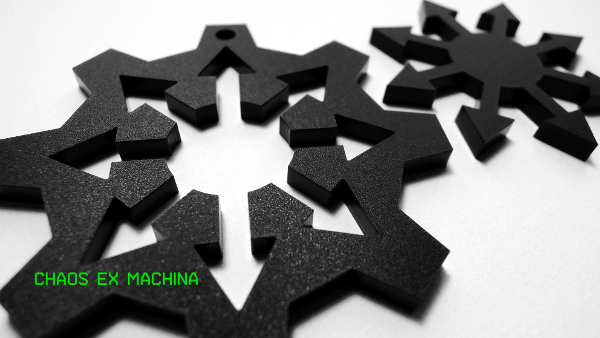 Joshua Madara over at hyperRitual has some laser-cut acrylic Chaos Ex Machina Pendants which may be of interest. Commentary (ΜΔ) on ΚΕΦΑΛΗ ΜΔ The Mass of the Phœnix in Liber CCCXXXIII, The Book of Lies by Aleister Crowley.